● Combines Bluetooth + TF card player + FM radio + AUX + NFC. ● 180 Degree surround colorful LED lights: 80pcs RGB LED light fixed in the speaker. 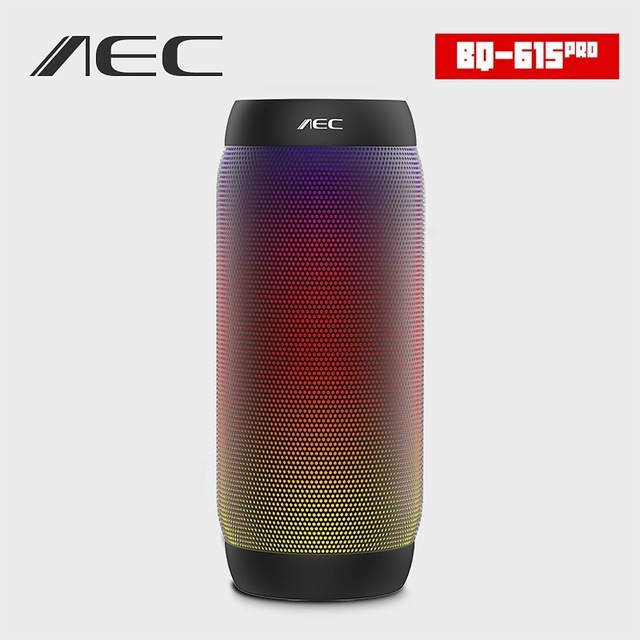 ● 360 Degree surround-sound, Bluetooth subwoofer. ● Different LED lights flash alternately, and flash rhythmic according to the music tempo. ● Can be adjusted to the light mode for you like. ● Built-in rechargeable battery, working time up to 8 hours. ● Built-in microphone, supports hands-free, talk with phone. ● Support TF card ( not included ) up to 32GB. ● Support 3.5mm stereo line-in cable ( included ) for playing other audio devices. ● Bluetooth communication protocol: Support A2DP, AVRCP, HFP.